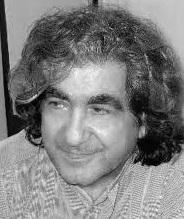 Thanks for the poems.I would like to know where Nemat Azarm is right now.Is there any way I can get his address from you?Thanks again. دوست عزیز، متاسفانه من آدرسی از آقای نعمت آزرم ندارم. فقط میدانم که ایشان در فرانسه زندگی میکردند.